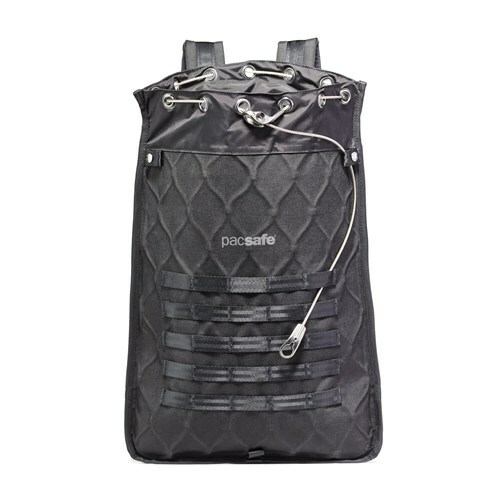 The Pacsafe Ultimatesafe 12L Backpack is an agile anti-theft locking backpack that comes with security features like adjustable shoulders straps and extra loop attachments for ultimate flexibilty while traveling. It also comes with a TSA-accepted combination lock which adds futher to the security. It's top-tier construction combined with anti-theft technology will keep up with any adventure & keep your valuables secured. The internal organization created enough room for your stuff, means you can fit all your gears into the internals pockets provided. The Pacsafe Ultimatesafe 12L Backpack - Black has many exciting features for users of all types. 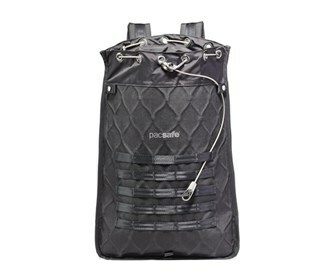 The Pacsafe Ultimatesafe 12L Backpack - Black is sold as a Brand New Unopened Item.